In the physical world, light is a crucial nutrient, which feeds the evolution of all life. Our bodies need water, vitamins minerals, amino acids, and enzymes. The human body, its cells, mitochondria and DNA, also needs specific color wavelengths of light. These healing color waves energize and balance all vital functions of the human being. Our bodies have been designed to be self-renewing and self-healing. The body however has to be maintained, and if any one organ is overtaxed, our bodies run out of replenishing material and cannot cope with the overload. Color Healing, also known as Vibrational Healing, uses the different frequencies of light to inject energy into the Aura's energy centers (Chakras) and the Auric Field. This acts like a vitamin for the energy fields of the body and can speed healing, promote general wellness, and your physical and emotional well-being. The latest biophysical research confirms that we do not only consist of matter but also as an energy body, which actually consists, up to a certain degree, of visible light. Color is defined as light moving at various speeds. The brain converts that information through our eyes into what we see as color. Today we know that there is a direct connection between light, sound and color and that the natural frequencies produced by light and sound correspond to various organs, endocrine glands and even our mental or emotional states. Because the vibrational frequencies of light and sound are related to the organs and cells, it can be understood that color vibrations perceived by the eye or sound vibrations received by the body will also have a profound effect on the organs and cells. The use of Color as a Therapy is a truly holistic, non-invasive and powerful therapy which dates back thousands of years; evidence of this can be found in ancient texts from India, China and Egypt. 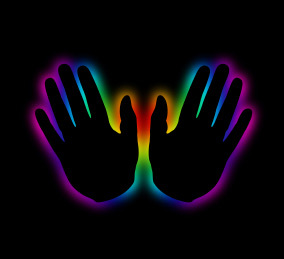 The human body absorbs color wavelengths that occur in the visible light spectrum. Each color in the spectrum has a frequency, wavelength and energy associated with it. The colors we absorb can have an effect on the nervous system, the endocrine system and subsequently on the release of hormones and other organic substances within the human body. They can also have an effect on the more subtle energies of the chakra system. This can profoundly affect our mental, emotional, psychological and physical states of health. The symptoms of disease are a sign that there is a shortage of, or improper utilization of color and light in the cells and organs of the human body. This may be due to factors such as our lifestyle, our environment, stress or too much, or too little of a particular color frequency in our energy system. This imbalance can be corrected by the selective use of color frequencies. The forms by which the frequencies of color can be transmitted to the body are numerous. What are the benefits of using Color Vibrations for healing? Visible light consists of twelve major color energies: Red, Red-Orange, Orange, Yellow-Orange, Yellow, Yellow-Green, Green, Blue-Green, Blue, Blue-Violet, Violet and Violet-Red. Each color is connected to various areas of our body and will affect us differently emotionally, physically, and mentally. By learning how each color influences us, we can effectively use color to transcend energy blockages. Each color provokes a different sensation in humans. Some are perceived as cold, others as warm. 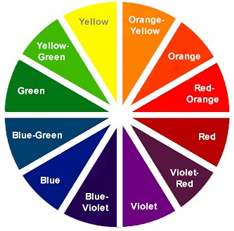 The colors which oppose each other in the circle are called complementary colors. The history of the use of color goes back over 5,000 years. Various color therapies were used by many cultures, including the ancient Egyptians, Ayurvedics, Chinese, Native Americans, and Tibetans. It is interesting to note that in the ancient Chinese medical systems, as well as in modern healing modalities, the twelve major color wavelengths are directly correlated with the body's twelve meridians or bio-electrical pathways. Learn about the healing color energies and how they relate to the chakra system. Chakras are electrical energy centers which are created by the endocrine glands and the nerve centers in the body. The word Chakra comes from the Sanskrit language meaning a revolving wheel or vortex of energy. These spiraling vortices of life energy consist of two electrical currents. The ida and pingala energies rise up through each leg and criss-cross each other up through the body. Where these currents cross, the seven major Chakras are found. This energy flows from each Chakra, through the body and circles back along the electrical pathways of the acupuncture meridians. 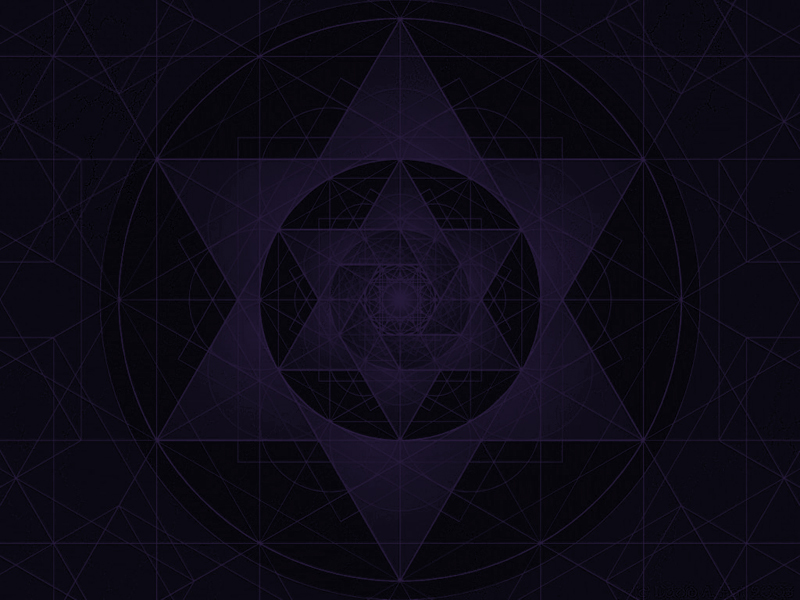 On the physical level each Chakra is connected to: a nerve center, one of the seven senses, and one of the seven endocrine glands. The seven colors and the seven major musical notes also vibrate with the Chakras. 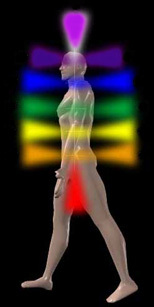 The lower Chakras correspond to the physical elements. The three higher Chakras correspond to the non-physical elements. This etheric light body of energy is much like an electronic grid map surrounding the physical body. Its function is to receive and then transmit this energy and information directly into various energy centers throughout the body, which in turn activates flow through the acupuncture meridans to stimulate every organ and structure in the body. This is why any physical dis-ease we experience will manifest in our auric field first. When imbalances have occurred, it is then that we may use color therapy or sound therapy as tools to help rebalance and restore ourselves. Color therapy is very simple. It works on the same principle as tuning in to a television frequency. Each chakra has a specific wavelength and vibrational rate, and governs a specific area of the body. By working with the appropriate color and or sound frequency whose wavelength corresponds to the chakra needing help, the weakened wavelength is reinforced. This will help set in motion the regenerative and healing process of that chakra or related body cell. This brings the body's energy fields into balance. Watch the fascinating and informative videos below for detailed information about our energy bodies. These videos will be eye opening for those who are not aware of the fact that we are made of energy and that our own fields of energy have innate intelligence and surround us at all times. Video number 1 covers Chakras 1 through 3. Video number 2 covers Chakras 4 through 7. All life on earth depends on light from the Sun, the source of life and energy. Light is the masculine or positive force in nature, color is the feminine or negative force. Color is defined as light moving at varying vibrational rates. The brain interprets these various light wave frequencies as color. Each major organ correlates bio-energetically to a specific color. Each color has intelligence and polarity, knows its functional role and works selectively. Color is a vibratory energy that can activate a particular organ, gland and system in the body. 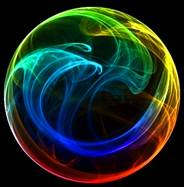 Color can help to restore balance when a blockage or imbalance of this energy has resulted in disease. The use of color can help to restore vitality to the etheric body through the projection of specific color rays, which are then absorbed by the chakra centers. The pituitary gland transforms these colors into revitalizing energies to rebuild the centers that are lacking in energy. Color healing shows us how to make light work for us. The use of color is one of the many natural tools available to help us walk in balance with Nature. Color healing is not only a physical, but also a spiritual force and thus forms a link between our physical bodies and the forces of vibrational energies, higher levels of consciousness and spiritual growth. Color is the bridge between our inner and outer bodies. The vibrations of color are energies of Life-Force itself and are here to aid us in our growth and progress toward the oneness which is our ultimate purpose. Watch this Healing Color Therapy video. Chakra Balancing, Color Therapy and Binaural Beats retune your mind and body. 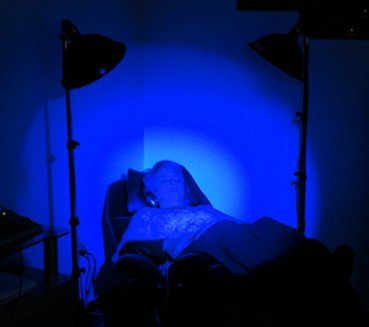 Energy Medicine Center offers state of the art color therapy in a very relaxing and inviting environment. Color therapy can be of tremendous benefit to those suffering from anxiety, depression, addictions, mental and emotional blockages or distress, as well as physical ailments and symptoms. Ø That color affects us all is an undoubted fact. Its significance has been investigated and the results utilized in merchandizing, selling, home decorating, the workplace environment, industry, plant growth, nutrition, physics, physiology, psychology, ecclesiasticism and art. In fact, color is so much a part of our lives that we tend to take it for granted. Ø Physical healing is encouraged by directing colored light towards diseased areas of the body or to the eyes. In conventional medical treatment, phototherapy and photochemotherapy are used in current dermatological practice e.g. in the treatment of psoriasis, and blue light has been shown to be effective in the treatment of hyperbiliruminemia in the newborn. Ø There is a wealth of evidence to support the psychological effects of color and Dr Max Luscher's The Luscher Color Test contains ample evidence of this (be advised that many of the references in this book are in German). Ø In conventional medical practice, the use of blue light in the treatment of hyperbilirubinemia has been proven by many researchers including Vreman et al with their study "Light-emitting diodes: a novel light source for phototherapy". Creamer and McGregor of St John's Institute of Dermatology, London. UK published a paper in January 1998 entitled "Photo (chemo) therapy: advances for systemic or cutaneous disease", exploring the value of light as a treatment. 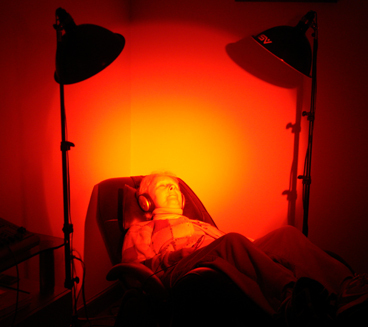 Griffiths of the University of Manchester, UK, in July 1998, published a paper on "Novel therapeutic approaches to psoriasis" and in October 1998, The Archives of General Psychiatry ran four articles on light therapy. Regrettably, where treatment of a broader spectrum of disorders is concerned, the evidence is largely anecdotal. 1. In 1997 researchers at the School of Agriculture and Forest Science at the University of Wales, UK used red and blue light to establish whether these would increase activity and reduce locomotion disorders in meat chickens. They showed that in 108 chicks walking, standing, aggression and wing stretching all increased in intensity when reared from day 1-35 in red light. Where blue light was used, there was a high incidence of gait abnormalities. Prayitno DS., Phillips CJ and Stokes DK. 1997. The effects of color and intensity of light on behaviour and leg disorders in broiler chickens. Poultry Science 76(12): 1674-81. 2. Michael Kasperbauer, a researcher at the US Agricultural Research Service Center in Florence, South Carolina, showed that using red plastic sheeting under tomato and cotton plants produced a 15-20% higher yield than plants grown over traditional black or clear plastic. Also turnips grown under blue plastic had an improved flavour when compared with those grown under green sheets. Analysis of those grown under the blue plastic revealed that they had higher concentrations of glucocinolates and vitamin C (glucosinolates being the compounds which give turnips and horseradish their traditional "bite"). Kasperbauer and his team have also investigated the link between color and pest control. Michael Orzolek of Pennsylvania State University proved that aphids and the plant viruses they transmit are generally attracted to yellow and repelled by red and blue. This finding echoes the work of Babbitt a century earlier when he wrote "The electrical colors which are transmitted by blue glass often destroy the insects which feed upon plants." Boyce N. Rainbow Growing. New Scientist. 24 October 1998. Ø Future research could focus on the clinical efficacy of color therapy and, the neurobiological mechanism of action. Extensive anecdotal evidence of the value of color therapy in the treatment of countless physical disorders over many decades deserves to be revisited. However, this evidence needs to be subjected to rigorous scientific research in order to establish (or otherwise) a sound basis for color therapy. Developing instruments for applying color could provide a commercial incentive for clinical trials. Ø A major resource for researchers is the Faber Birren Collection Of Books on Color which was presented to Yale University in 1971. Faber Birren (1900-1988) was a leading authority on color and the collection's holdings are the most extensive to be found anywhere. A complete online bibliography can be found at the Yale University Library website.